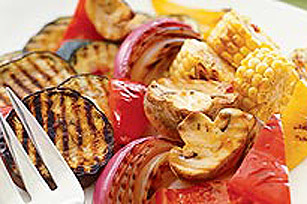 Grilled vegetables are, no doubt, the ideal complement to a juicy, grilled meat. And with so many options, there's going to be something special for everyone. But it is also true that sometimes it's hard to grill vegetables to perfection: cooking times vary in each case and it's also fundamental to choose the right dressing to brush them. That's why we've prepared these simple instructions, as well as a very handy table, so that grilling them becomes a real party. Always start with a clean and lightly oiled grill. Preheat grill to medium high. If using a charcoal grill, you should be able to hold your hand over the heat for 5 seconds. If using a gas grill, set the burner dials to medium high and preheat the grill until the temperature gauge reaches approximately 400°F. Cut and trim vegetables according to the chart. Kraft Dressings are a great way to add flavour to vegetables. The Kraft oil-based dressings work well when brushed on vegetables during cooking. 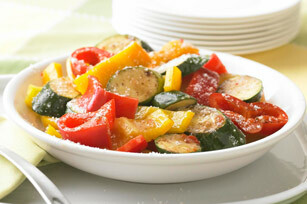 The Kraft creamy-based dressings are best drizzled on vegetables after they are removed from the grill. See chart for dressing suggestions. 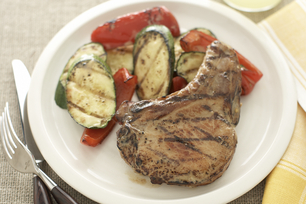 Stay close to the grill because cooking can vary slightly. 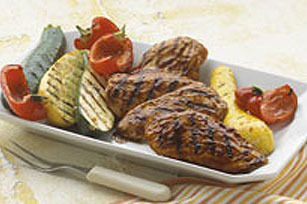 Make sure that the vegetables are cut into pieces that will not fall through the grates of the grill. Small pieces of vegetables should be skewered. Most vegetables do not have to be peeled; the skin helps the vegetable hold its shape during cooking. Onions Peel and slice onions in 1/3 to 1/2-inch slices, or thick wedges. Brush slices with dressing and grill until lightly browned - about 5 minutes on each side. 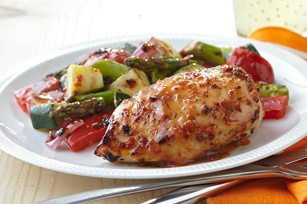 During grilling: Kraft Italian Dressing or Kraft Zesty Italian Dressing.